Ahoy Doggie Lovers! Shiver me timbers! 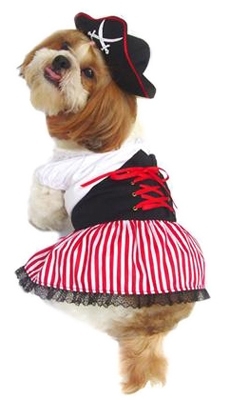 Your lil girl will have a great ole' pirate time in this girl pirate girl dog dress costume. It's a 100% cotton dress with lace trim, comes with the matching lady pirates hat with red trim, fully hand washable.